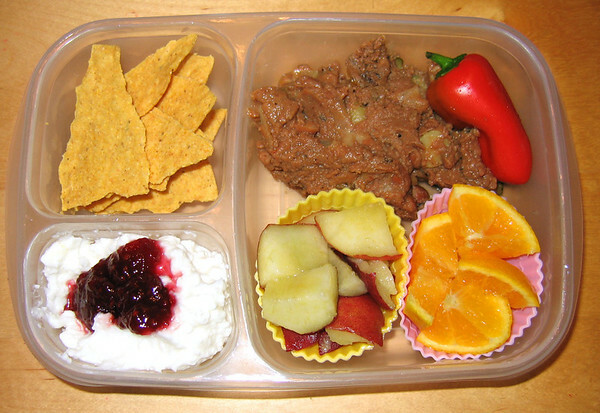 In my lunch box: I made tacos for dinner and put the leftover bean mixture in this lunch. Broke up a taco shell and it was fun to eat this way too! That's cottage cheese and jelly. No need to buy those expensive single portions of it in the dairy aisle when you can put it together yourself like this. Julia loved this lunch :) BTW - those are reusable silicone muffin cups. Great for dividing foods within the compartments.